She pointed out that with the functionality available in the new release of Dynamics CRM, the silos are going away. All the activity that happens between marketing, sales, and customer care are coming together and the lines are blurred, not just in large enterprises, but in the small and medium business space. Marketing needs to be able to deliver qualified leads, not just leads. This means understanding what touch points were made with the customer and how interested they are. Sales needs to be able to get vital social information inside the systems they are already working in, so they can make connections that are meaningful. Customer care should be able to work with people on whatever channel they want so that they can provide the care needed but also can use that opportunity to market and sell and get customers into products that are right for them. What size company can use the new Marketing, Social, and Care Functionality in Dynamics CRM? Although most of the case study clients that were showcased at Convergence 2014 were global brands, Jennifer Pollard feels strongly that it is not only for large enterprise customers. How can a smaller company use Social Listening? As an example, SeaLord is a large New Zealand based company in the canned fish business, and an early access user of Microsoft Dynamics CRM Social Listening. 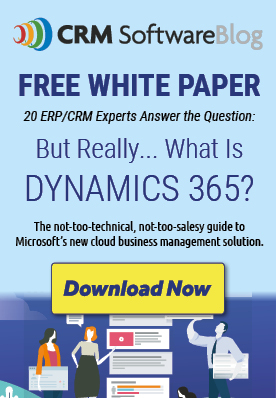 What makes Microsoft Dynamics CRM different? “The way other companies have embraced social is very different than the way Microsoft did. We have always brought it in and thought about it as technology that needed to be democratized so everyone in the organization can get it. And it also needs to be contextual. We are bringing all these tools in where you need them so you can get the info in your user interface. The next wave of releases is huge. There is so much in those releases that answers the needs that people are facing in jobs today. Helping companies embrace this new technology is a huge focus for us right now and going forward. But could a small company use our competitor’s products? No, they couldn’t pay for that. These companies are charging huge amounts for social listening tools and those tools are then relegated to just a few people in the organization. Some competitor offerings are very complex. Getting information that you need out of them, or having the ability to go in and look at it if you are not the one who set up the report, can be very challenging. We are trying to make it accessible to everyone. Social Listening will be available for Microsoft Dynamics CRM in Spring 2014. Microsoft Dynamics CRM Online Professional licenses will remain at $65 per user per month and will include Microsoft Social Listening at no additional charge (as long as you have 10 users or more). Dynamics CRM on premise users can add Social Listening for $20 per user per month. So a company would be paying a minimum of $650 per month. This may out price some of the very small businesses, but certainly should be a feasible investment for any growing or medium sized company. Especially one that has a brand to promote and protect in the public eye. You can calculate the current price of Microsoft Dynamics CRM 2013 at www.crmsoftwareblog.com/quick-quote. This free, automated tool will show you the cost of license, maintenance and estimated implementation fees for both Microsoft Dynamics CRM Online and On-Premise. It will be updated with new pricing in Spring 2014. Request your quick quote today.